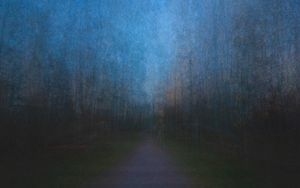 Light plays a central role in Eeva Karhu’s works. 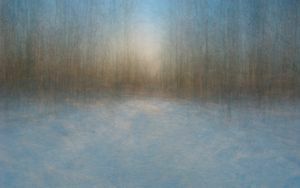 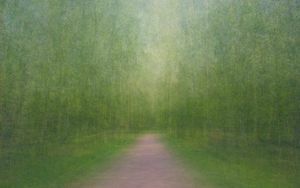 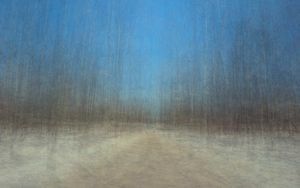 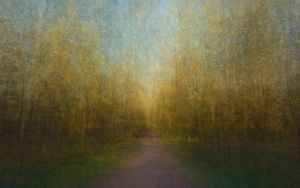 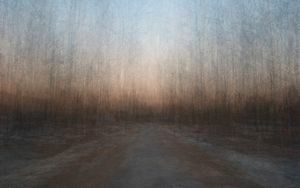 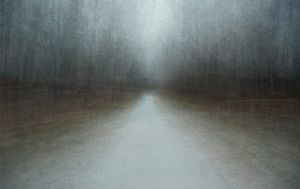 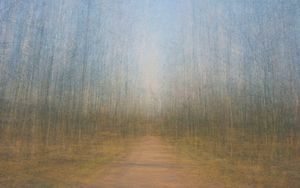 Much in the same way as impressionist painters, especially Monet, made repeated studies of the same subject, Karhu, in her series Impressio–Path, makes multiple views of the same trail, framed by slender trees.​ ​From one picture to another, photographed in different lighting conditions, the series reveals a startingly wide range of changing​ ​colours and shifting atmospheres. 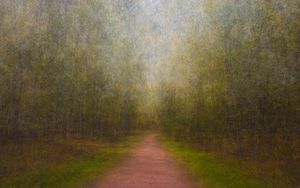 The resulting images are appealing; they bear the same flickering and airy quality of impressionist​ ​paintings.